Just Add Water to see Alaska up close and personal. Alaska is aptly known as “The Last Frontier”. 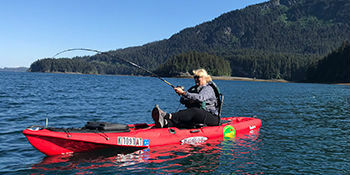 Experience its vast beauty and wonder in a fun and unique way on one of our Homer Alaska kayaking tours, kayak fishing-for-halibut adventures, fishing charters, or charter tours in the Tutka Bay area. No experience necessary! Half-day and full-day tours available. 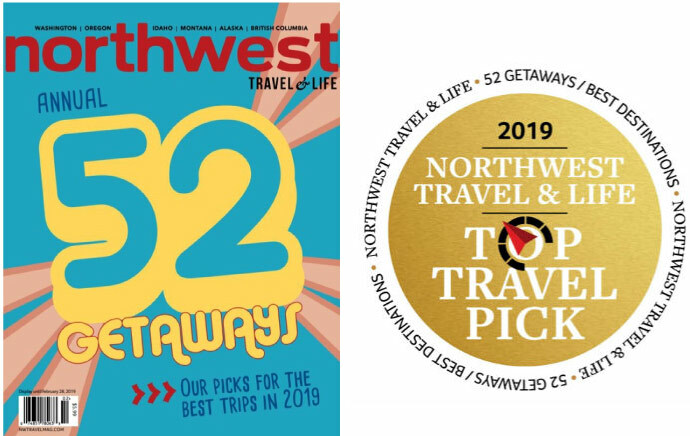 — Excerpt from the third annual 52 Getaways edition of "Northwest Travel & Life Magazine". This special issue outlines one adventure for each week of the year. 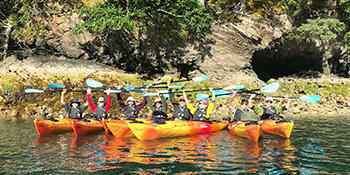 An authentic Homer Alaska guided kayaking adventure! Explore the Tutka Bay area on a half-day or full-day kayak tour. All equipment provided. We had the best time! It was so much fun to take a friend visiting from West Virginia. He will leave with great memories of a Wonderful Day in Alaska. And we can't wait to come back .  Thank you all at Just add Water :). Thanks team for a wonderful morning paddling! So serene and beautiful and we loved seeing the otters and eagles...and maybe those bubbles were a humpback? ha!! I had a great experience the guides were awesome. The owners were very nice. The kayaks and the equipment are great. Awesome experience kayaking and taking in the views. Great way to see Alaska! Had a great experience! My favorite part of our trip to Alaska. JAWA was awesome!!!!! 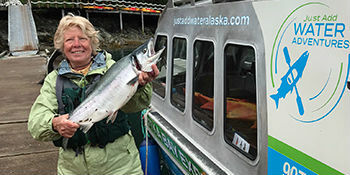 From captain to owners--greatest experience that I have ever done in Alaska. I’ve used Jaret as my outfitter several times. He has provided outstanding outfitting. He is honest and worked very hard to make my trips successful. I’ve used several outfitters and Jaret is one of the best that I have ever used. I enjoyed the pleasure of a hunt-of-a-lifetime with Jaret and his guides. Jaret and Co. took care of everything. They were not simply client-oriented, they were client-dedicated. I can't think of anything I would have wanted to be done differently. I would recommend them to anyone, without reservation. FIVE STAR RATING ***** I and three other hunters from Ohio have hunted elk and mule deer in New Mexico with Jaret during during the past three years. We all highly recommend Jaret for any hunting trip. Jaret is an extremely professional, knowledgeable and hard-working outfitter. Unlike other outfitters, Jaret is willing to do what's necessary to get the trophy animal you're after and will not compromise his efforts by having you take the easy shot at a mediocre animal. His services are first rate and Jaret is readily willing to customize your hunt as necessary to accommodate any particular needs or schedule. I have absolutely no reservations about recommending Jaret for your hunting adventure. Explore the beauty of Homer Alaska kayaking. No experience necessary.